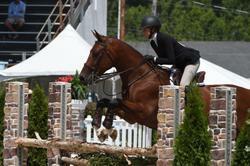 Great Hunter/Equitation horse. Very good form over fences and always is in the top of the under saddles. Has brought his current rider from Children's Hunters and THIS medal to the Small Juniors 3'6", MaClay, WIHS (both phases), and the USEF Medal. He takes very good care of his rider. 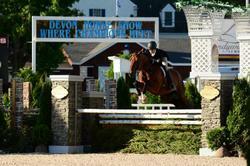 Has qualified for Junior Hunter finals 3 years in a row and his rider for the Hunterdon 2 years in a row. Reason for sale/lease is rider is losing interest in riding. 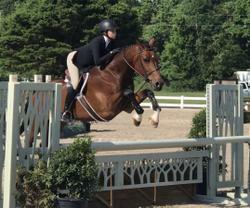 Was recently 9th over all at Junior Hunter Finals. Will be available to try week 1 & 2 of Pin Oak Charity Horse Show.Contact for video. Please serious inquires only. Great response to posting. 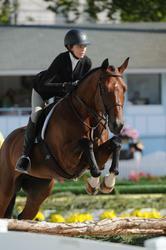 Horse leased within 2 weeks of placing him on Bigeq.com.